Essential Criteria: (i) Graduate Degree in any stream, with at least 55% marks (or an equivalent grade in a point scale wherever grading system is followed) from an Indian University, or an equivalent degree from an accredited foreign university; (ii) Those awaiting final semester/year result may also apply; (iii) Working experience in MS Office, basic knowledge of information technology; (iv) Expert knowledge of Gujarati as the investigator will have to interact and interview artisans from Rural Gujarat; Working knowledge of English language; (v) Ability in preparing field investigation report and analysis related with the research and field investigation results. Highly desirable: (i) An interest in Intellectual Property Rights and related research and development; (ii) Good knowledge of latest national and international research trends and developments in relevant area; (iii) Excellent inter-personal and team-building skills; (iv) Ability to conduct research work. How to Apply: Interested candidates shall send their detailed resume to htrivedi@gnlu.ac.in on or before 21st December 2017. Short listed candidates will be intimated on 23rd December 2017 latest by 1800 hrs. Address: Ms. Hetvi Trivedi, Research Associate- GNLU-GUJCOST Research Center for Excellence in IP Laws, Policies & Practices, Gujarat National Law University, Attalika Avenue, Knowledge Corridor, Koba, Koba (Sub P. O. ), Gandhinagar – 382 426, Gujarat (INDIA). This appointment is purely on temporary basis till the completion of the project or as per requirement. The Principal Investigator/Co-Investigator retains the discretion not to make any appointment to this vacancy, to make an appointment at a revised remuneration, or to make an appointment with a modified job description and to fix revised qualification and requirements. Only short listed candidates will be called for Interview on 26th December 2017. Reporting time for Interview is 1000 hrs. 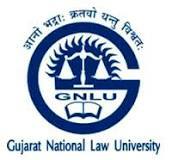 Selected candidate shall not be considered as an Employee of GNLU for any purposes whatsoever.